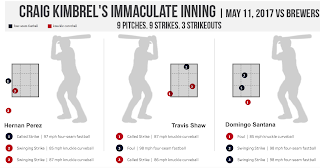 Thanks to the good people of Public.Tableau.com, we now have a wonderful graphic representation of Craig Kimbrel's "Immaculate Inning" yesterday against The Brew Crew. 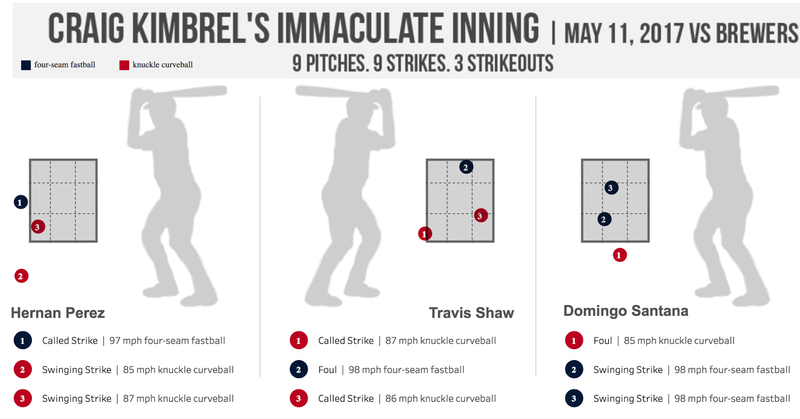 On just nine pitches, Kimbrel dispatched three Milwaukee hitters with nine strikes. Clearly, the Red Sox closer has moved beyond his earlier wildness (perhaps due to last year's lingering injury) and is now the dominant guy we traded for. You can get the full view of this and other great graphics HERE.